In 2012, Dark Horse released the first edition of The Sky limited to 1000 copies. Many who pre-ordered were left sorely disappointed when their books did not ship when the shipping date went by. 1000 limited copies for fans of Final Fantasy, a game series that has over millions of fans. Now that's truly limited. Well, it's all good now. 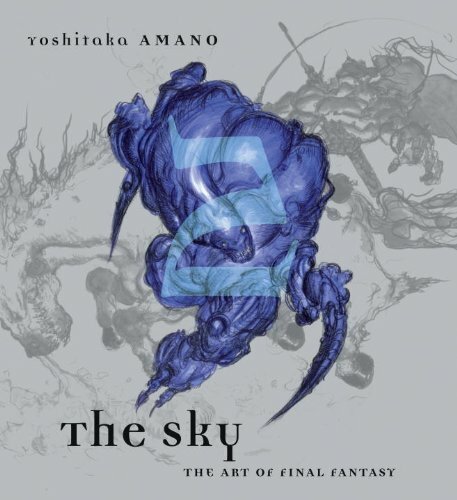 Dark Horse has released, this time, a non-limited edition of The Sky that is more easily available. Although there are no additional goodies with this release. This is a slipcase set with three hardcover books. The cardboard slipcase is covered with some silky fabric with a beautiful print across and to the back. It's very sturdy cardboard and even has a cover for the opening. The presentation is very nice. Inside the book there are the three large format artbooks. 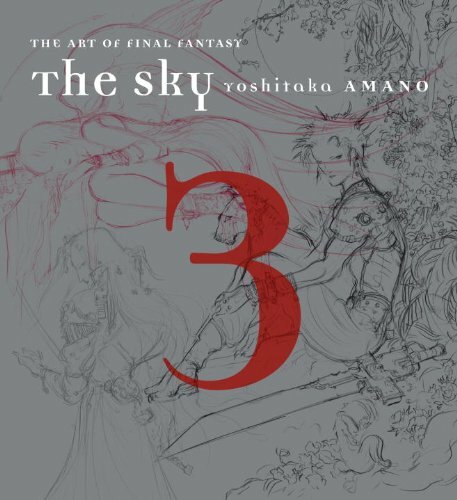 Volume 1 collects works for FF I-III, Volume 2 for FF IV-VI and 3 for FF VII-X. This is a collection of artworks from 1987 to 2001. Altogether, there are 576 pages. This box set might not be what you're expecting depending on the type of FF fan you are. I suspect there might be a group of fans or designers looking for art that is closer to the games. You know, like those art-of books typically released alongside games? The Sky is not like those artbooks. There's no full list of characters or enemies, environment art (I'm still looking for these), weapons, vehicles or promotional art. The focus in on character designer Yoshitaka Amano and his character designs. 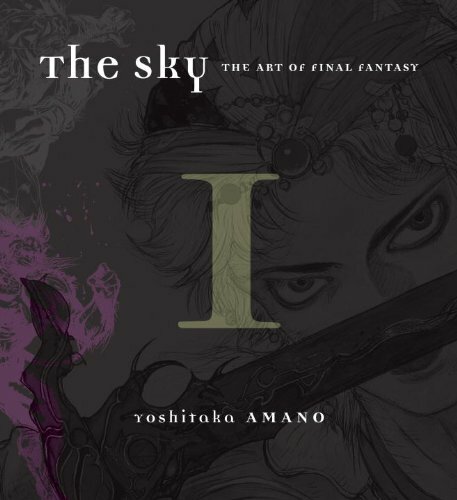 There are over hundreds of drawings of characters and enemies in the unique Amano style of art. It really interesting to see, for the first few games, how those dot matrix game sprites are translated into or from the concept art. If you've not played the games, these designs will appear foreign. Even if you've played the games, they might still appear foreign because they can be wildly different from their video game form. 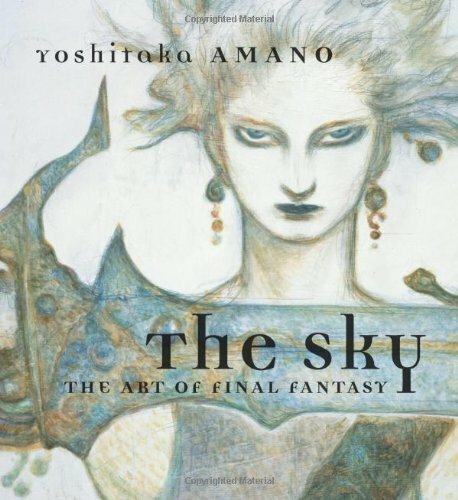 Therein lies the brilliance of Amano, who can create such a huge cast of characters for the FF world. The amount of content for each game varies. Book 2 is the thickest so you get a bulk of work from FF IV to VI. Book 3 is quite thin with only ten pages for FFVII. Much is of Cloud and Aeris, with occasional appearance of Sephiroth and RedXIII. Not all characters or enemies drawn are labeled. It's a challenge to identify them sometimes. Depending on where you buy it from, there might be additional weight surcharge. This box set is heavy. It ships with its own custom sized cardboard shipping box designed to prevent damage. That's the way to do it for an exquisite set. You might know that there was an earlier book called Dawn: The Worlds of Final Fantasy. Much of that book's content is duplicated here so there's no reason to get that book anymore. Ultimately, this boxset represents great value for money. Grab it fast if you like the art. In 2014, Dark Horse has also made the books available separately. Getting the 3-book slipcased edition is more worth the money of course, but it depends on whether you have to pay for the addition weight surcharge — the individual books are lighter and do not incur the weight surcharge.